Photographs by David Carol, with an essay by Anne Wilkes Tucker. Edited by Abby Robinson. Stephen Daiter Gallery Books, Chicago, IL., USA, 2005. 112 pp., numerous duotone plates, 8¾x11¼". Limited slipcased edition of 50 copies signed and numbered by the artist, with an original, signed and numbered gelatin silver print (8 x 10 inches). This copy is #11/50 and includes the print Hiding Camper. 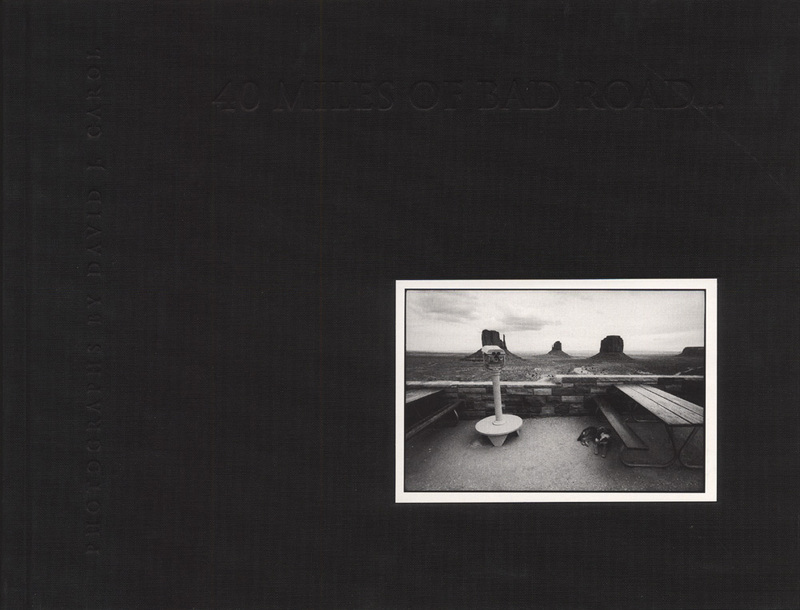 40 Miles of Bad Road is a ten-year retrospective of David Carol’s personal work from 1993 through 2003 with an afterward by Anne Wilkes Tucker. See the artist talk and slide show given by David Carol at photo-eye Gallery here.